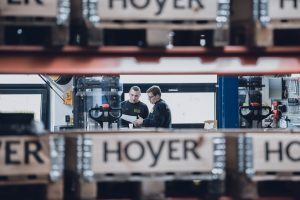 Hoyer supplies all types of conveyor chains with inch pitch according to BS 4116. The inch pitch conveyors are made in accordance with British Standards by the BSI Group. 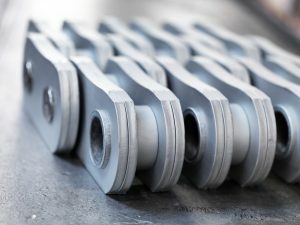 Our chains are available in steel, stainless steel and galvanised designs, with or without roller and with solid or hollow pin. 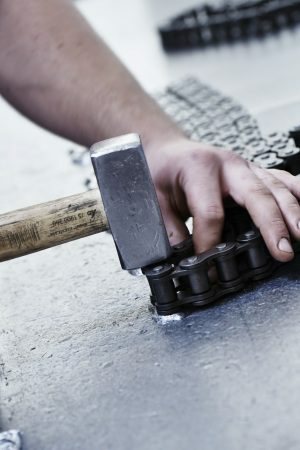 Our workshop allows us to manufacture all types of attachments, carriers and scrapers. 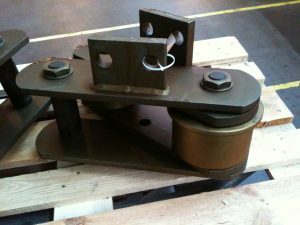 In addition to this we also supply conveyor sprockets according to British Standards and your specific requirements and designs. Missing any information or products? Please contact us.